The big selling feature for the new Moto Z and Moto Z Force is being pushed as the modularity of each phone, where Motorola will look to extend the style and functionality of each by selling you modules, called Moto Mods. So far, we know that we can expect Moto Maker options for Moto Mods called Style Shells that can add a pop of color, texture (leather, wood, nylon, etc. ), and personality to your phone. But outside of the Shells, we we will see Moto Mods including a speaker from JBL that can extend battery life by up to 10 hours, a Moto Insta-Share projector for turning any surface into a 70-inch screen, and an Incipio offGRID power pack that can give you up to 22 hours of extra battery life. 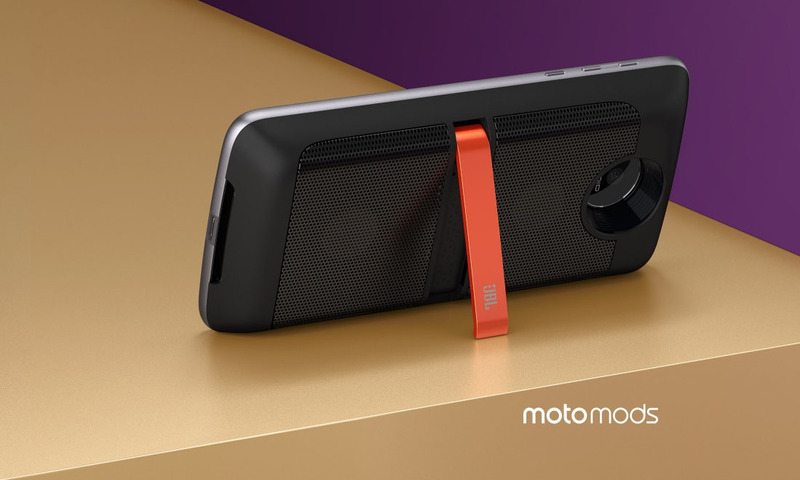 The Moto Mods, in case you were wondering, attach to the new Moto Z phones via “really strong magnets” and are held in place without worry. In the video above, you can see these modules in action and how they attach. To learn more, hit up Motorola’s Moto Mods site. Moto Mods and Style Shells will be available at launch this summer.